This circle is open to all children who are interested in learning more about Reiki, energy, compassion for all and healing. Many of the children who come have already taken the Reiki I Kids Class and some come to see if they want to take the class in the future. Parents are welcome to stay with the children. If the children want them there, then I highly encourage it. I believe the adults have as much fun as the kids. Plus, the more the parents are involved with their child, the more the child will stay with it. We start the circle with the talking stick. 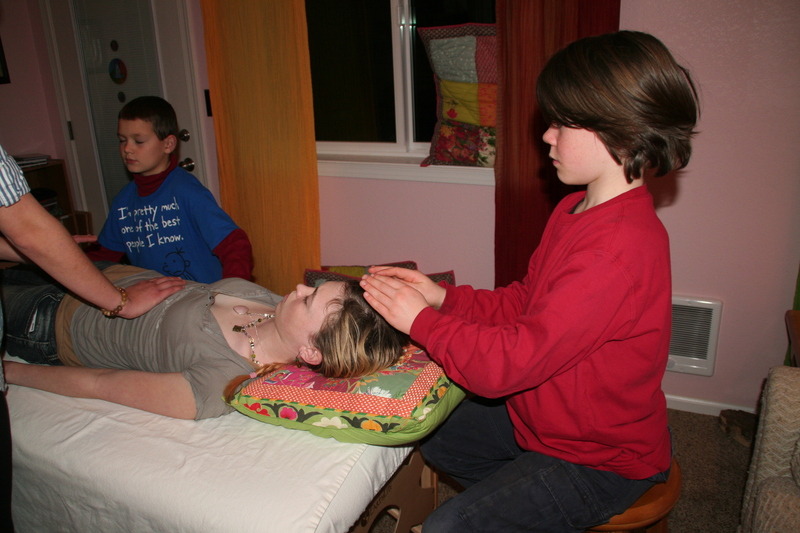 Each child who chooses to share a Reiki experience gets to do so. Some like to talk and some do not. There is no right or wrong way with Reiki so we make sure the children know that whatever they choose is perfect for them. After sharing we read a spiritual book that relates to the topic of the evening or a topic that the kids have been asking about. After reading and discussing the book we do a short meditation to get the kids familiar with meditation practices. They often ask for more or longer once they get the hang of it. After meditation we run energy in many different ways. The circle is child led by what topics the children are interested in. No matter the topic, it’s always a lot of fun. 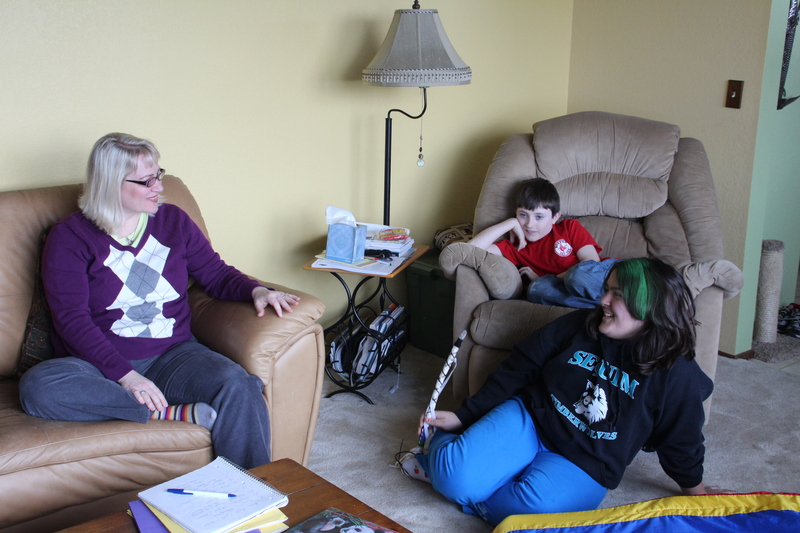 N.B., age 12 has the talking stick so she gets share her experience while the other kids listen. Provides kids with a safe place to spiritually express themselves. 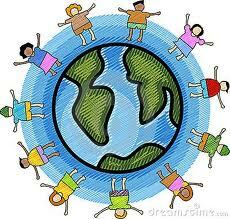 Allow the kids a safe place to make friends who are similar to them in their “sensitivities” to the world. Kids no longer feel as alone when they feel understood by others. Here is a place where these kids can feel like they belong. Allows for plenty of time to practice their Reiki and play, play, play with energy! We make it fun for everyone! 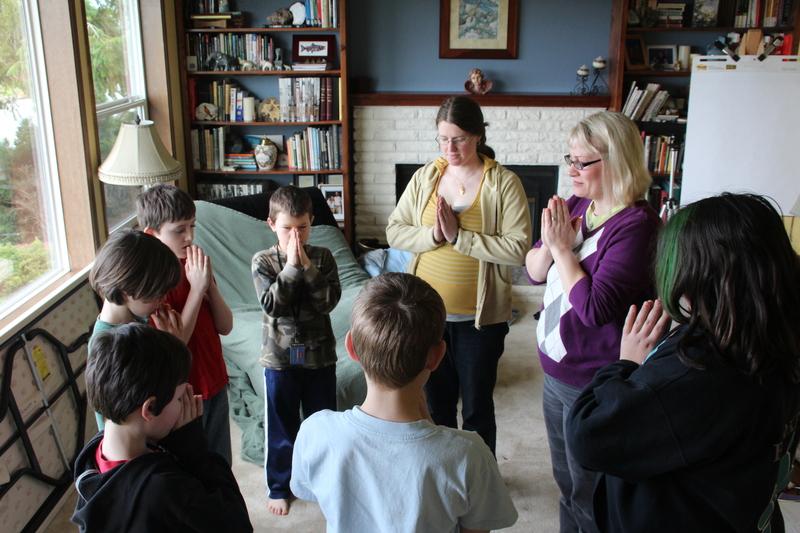 Gives the children a safe environment to ask spiritual and Reiki questions. Reiki Circle, before practicing Reiki we do our “Gassho” which is asking Divine Source to be with us and to send down the Reiki energy. J.G. age 8, Joss, E.H. age 10 and N.B. age 12, all practicing Reiki for animals on Mandy. 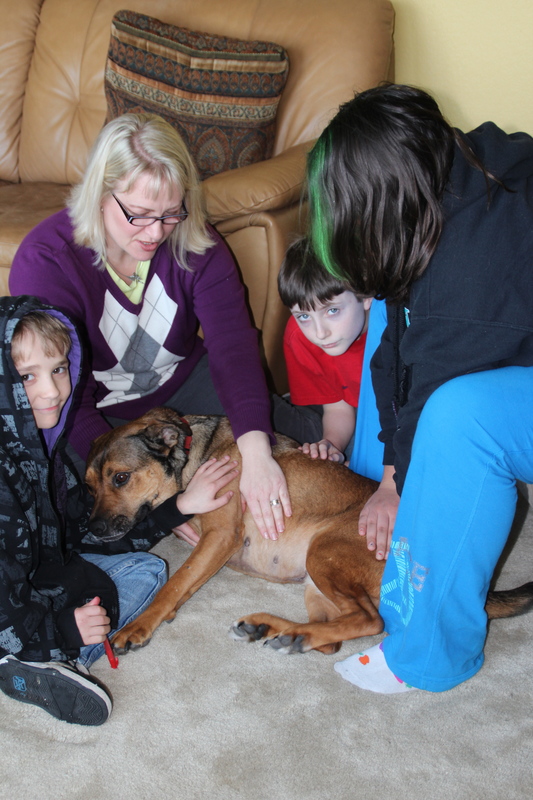 Mandy is a great pet to practice on with kids because she gets Reiki regularly and LOVES it! She just lays still and soaks it all up. Really nice article 🙂 Thanks for sharing …what is reiki.